If you or a loved one has suffered an injury due to a medical error, you have the right to pursue legal action, with no immediate out-of-pocket cost to you. 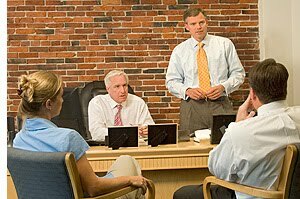 If you believe you have been injured by a medical error or medical negligence by a New Hampshire hospital, doctor, nurse or other health care provider (or if you are a New Hampshire resident who has suffered an injury in Massachusetts or Rhode Island), you should contact Lubin & Meyer to have your claim evaluated free of charge. When you contact Lubin & Meyer to discuss the circumstances of your injury, you will be asked some simple questions to help determine if Lubin & Meyer will be able to assist you with your potential claim. If Lubin & Meyer believes it can assist you with your case, you will be asked to meet for a more detailed interview, so that the attorneys can obtain all of the pertinent information about your case. You should never make a decision on the merits of your claim without the benefit of competent legal advice from an attorney who concentrates in medical malpractice and personal injury law. When your case is accepted, Lubin & Meyer will immediately undertake intensive pre-trial preparation, using the many innovative and creative techniques the firm has pioneered in the medical malpractice and personal injury fields. For example, in appropriate cases Lubin & Meyer uses mock juries to predict the response of a real jury in an actual trial situation, or produces documentary films, which graphically and dramatically demonstrate to the jury the affect of an injury on the life of the victim and the victim's family. In addition, the pre-trial preparation involves obtaining testimony from leading experts across the country in fields such as medicine, engineering, flammable fabrics, architecture and economics, who are committed to presenting the victim’s case to the jury at trial. Lubin & Meyer continually strives to prepare and present the most effective and persuasive trial presentation on behalf of its clients using the most sophisticated technological advances, leading experts and intensive preparation to maximize the chances for a successful outcome of each claim.